Pentaho Reporting is a suite (collection of tools) for creating relational and analytical reports. it can be used to transform information into meaningful information. 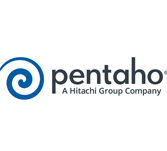 Pentaho allows generating reports in HTML, Excel, PDF, text, CSV, and xml. This tutorial provides basic information of how to generate professional reports using Pentaho report designer. Before you start proceeding with this tutorial, we assume that you have prior exposure to core Java, Database concepts, and sq. Queries.